This heartwarming book celebrates the love that fathers and children share in the animal kingdom, while also teaching young readers about colors. Perfect for new babies, new fathers, baby shower gifts, Father's Day gifts, and for kids who love their dads on any old day. Throughout the animal kingdom, in every part of the world, fathers love and care for their babies. This book takes readers around the globe and across the animal kingdom, showcasing the many ways fathers have of demonstrating their love. Whether it's a penguin papa snuggling with his baby in the frosty white snow, a lion dad playing with his cub in a yellow field, or a seahorse father protecting his young inside his pouch in the deep blue ocean, we see that a father's love comes in all shapes, sizes, and colors. With beautiful art that brings all of the dads and babies, and the love between them, to vivid, colorful life, this book is a celebration of the special bond that a father shares with his children. It's time to celebrate kindergarten graduation in Natasha Wing's best-selling series featuring rhyming text in the style of the classic Clement C. Moore holiday poem. Get ready for a major milestone: kindergarten graduation! Of course, there's a lot of preparation the night before as kids prepare for the momentous occasion. This is a great school-year follow-up to The Night Before Kindergarten! A darkly funny gift book based on Roald Dahl's beloved story The Enormous Crocodile, featuring art by Quentin Blake. The Enormous Crocodile has been employing "secret plans and clever tricks" for years, hoping to one day score his favorite meal: a juicy little child. And finally, he shares his wit and wisdom with a world hungry for his sage advice. Find out all of our devious villain's tips and advice in this grim, but humorous gift book perfect for fans of All My Friends Are Dead. And with Quentin Blake's illustrations, this full-color book will have readers plotting their own clever tricks in no time. With 40 flaps to lift, this oversized board book features That's Silly! (TM) scenes set in a favorite location -- the zoo -- creating a satisfying interactive experience for children not yet reading on their own. 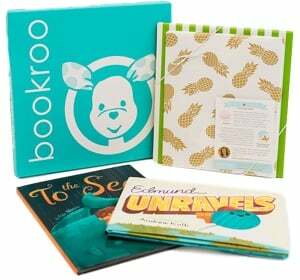 The zoo gets sillier and sillier in this large lift-the-flap book! Children will love exploring every scene to discover pandas reading, penguins surfing, and lions doing magic tricks--and then lifting over 40 flaps to reveal even sillier surprises underneath! Puzzles are specially created for younger children to help develop early skills in vocabulary, concentration, and attention to detail. Girls belong outdoors! This handbook covers everything you need to get outside, including ideas for what to do, camping and hiking basics, body stuff in the wilderness, advanced skills like maps, weather, and first aid, as well as recipes, projects, activities, and profiles of inspiring outdoorswomen. Your definitive guide to getting outside--for girls ages 9-12! In addition to basic outdoor skills, this entertaining guidebook includes easy camping recipes, outdoor projects including science experiments and crafts, fun activity suggestions, and inspiring stories of diverse historical and contemporary outdoorswomen (such as Arunima Sinha, an amputee mountain climber and first Indian woman to summit Mount Everest; Juliette Gordon Low, founder of the Girl Scouts; and Libby Riddles, first woman to win the Iditarod). The goal is to improve the quality of girls' outdoor time by increasing participation and independence, making them feel comfortable and safe, and giving them essential skills and knowledge. Charming and approachable, this book will encourage both reluctant campers and budding naturalists to go wild and embrace the outdoors. Ruby is always racing after her big brothers. But no matter how hard she tries, she can never catch up. Then one day, she discovers some sticks in the grass. Not just any sticks—swords! And suddenly the world is her kingdom. Readers will cheer on Ruby's perseverance and creativity as they delight in the antics of the adorable animals that join her along the way. Anyone who has ever imagined themselves the star of their own swashbuckling adventure will find this sweet book irresistible. This is the story of how Les Paul created the world's first solid- body electric guitar, countless other inventions that changed modern music, and one truly epic career in rock and roll. How to make a microphone? A broomstick, a cinderblock, a telephone, a radio. How to make an electric guitar? A record player's arm, a speaker, some tape. How to make a legendary inventor? A few tools, a lot of curiosity, and an endless faith in what is possible. Featuring richly detailed, dynamic illustrations by Brett Helquist, this unforgettable biography will resonate with inventive readers young and old. Andy and Sandy hit the stage in this fourth book of an easy-to-read picture book series about friendship—from Caldecott and Newbery Honoree Tomie dePaola and Emmy Award–winning writer for the Muppets Jim Lewis. Outgoing Sandy convinces shy Andy to do a dance at the big talent show. The only problem? Andy doesn’t know how to dance! Luckily, Sandy is a good teacher. But when showtime finally arrives, it’s Sandy who freezes up! A true friend through and through, Andy overcomes his shyness to save the performance. Let’s give a standing ovation to friendship! Written in simple words and short, declarative sentences, this book is perfect for little ones just learning to read on their own. The critically adored, New York Times bestselling Deborah Underwood delights with a hilariously meta celebration of storytelling out of control. Every story needs a problem. But Panda doesn't have a problem. Unless . . . Panda is the problem. The New York Times bestselling author of Here Comes the Easter Cat and The Quiet Book loses control of the narrative in the funniest, most exuberant, most kid-delighting way in this adventurous ode to what makes a story--and what makes a story great. Mr. Aster, who likes routine, is happy to care for Little Green Girl when she arrives in his garden, but not interested in helping her see the world beyond its walls.